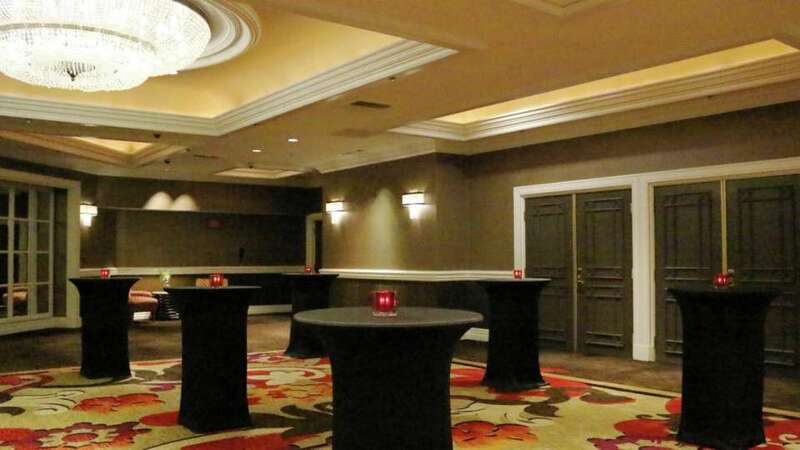 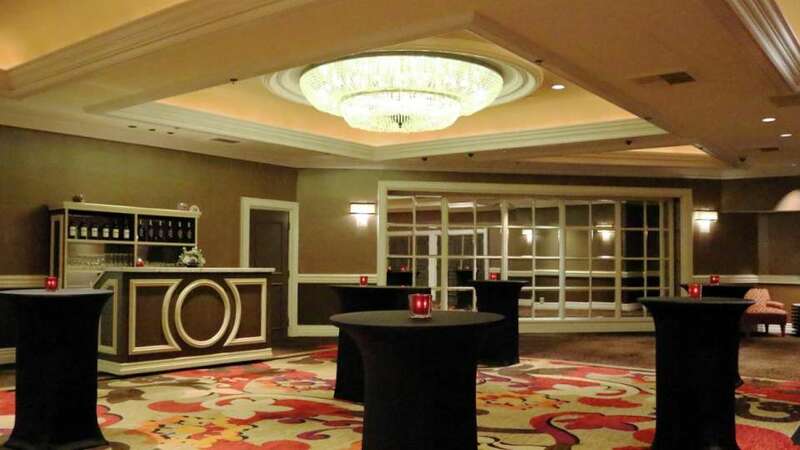 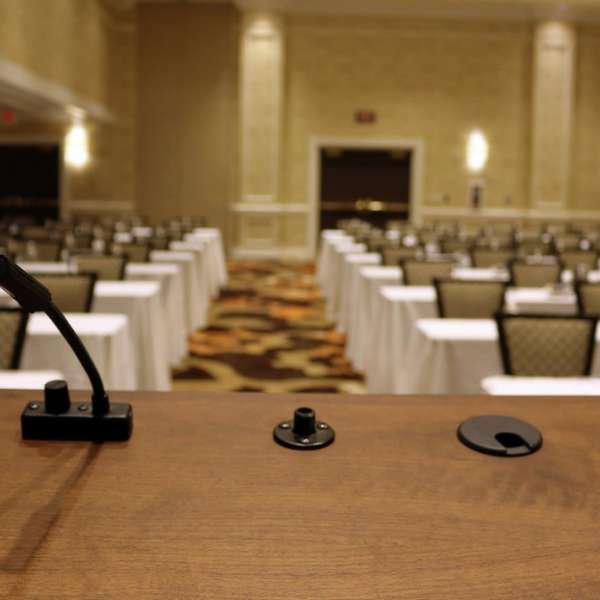 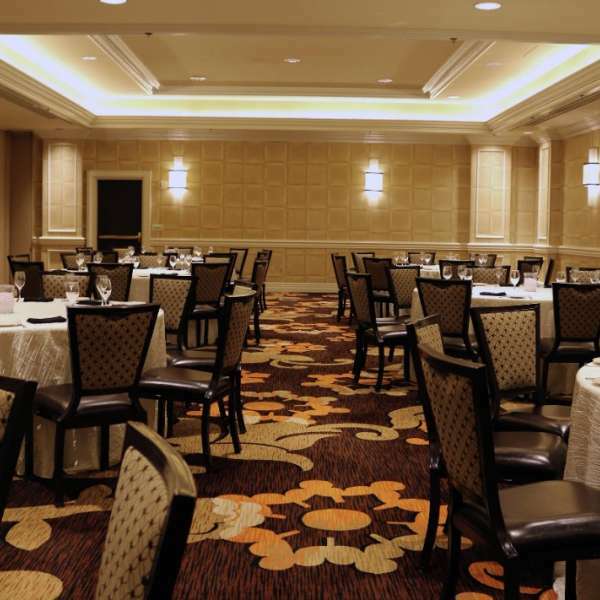 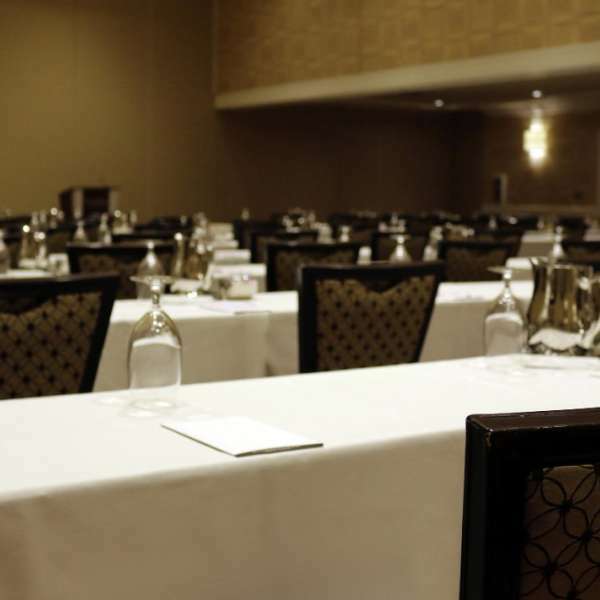 To Reserve Meeting/Reception Space & Guest Rooms, please click HERE. 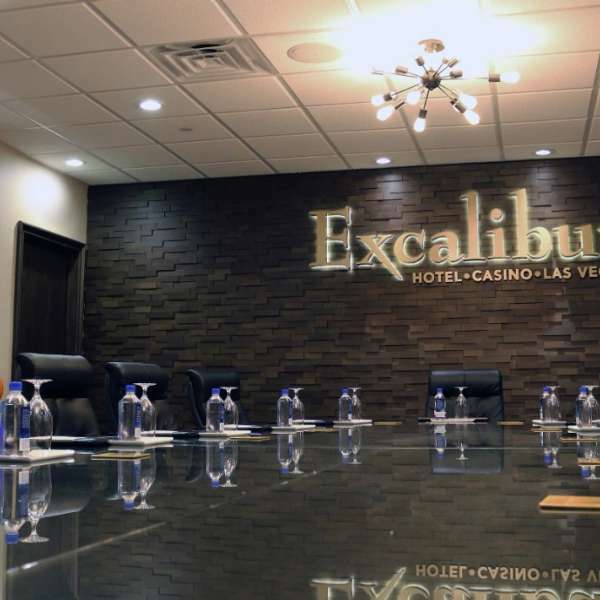 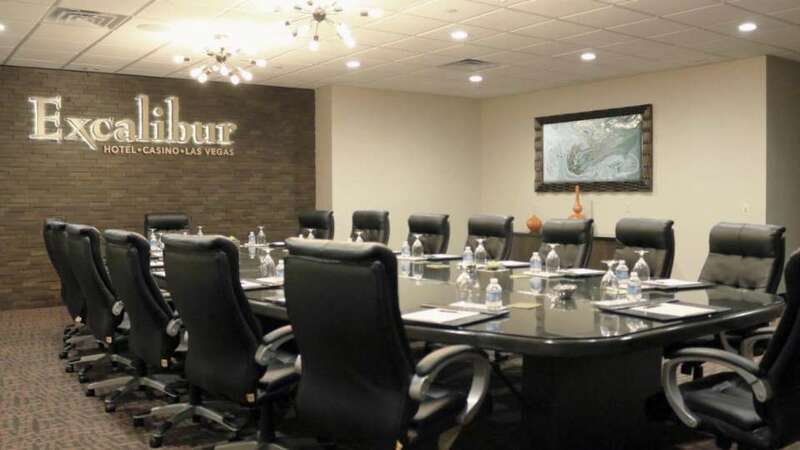 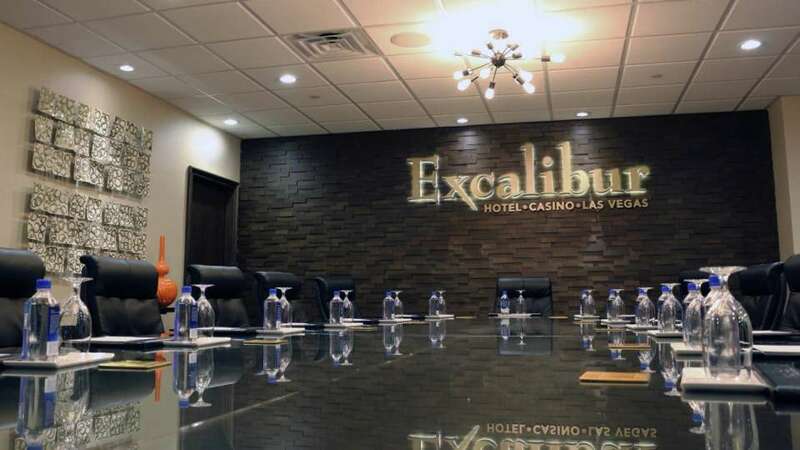 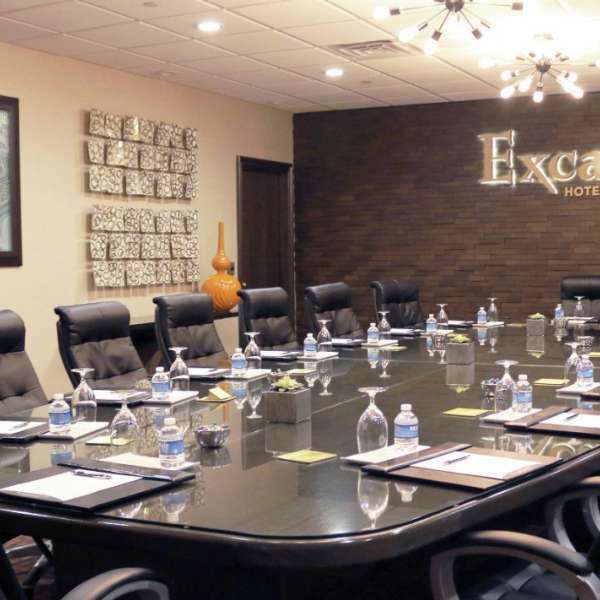 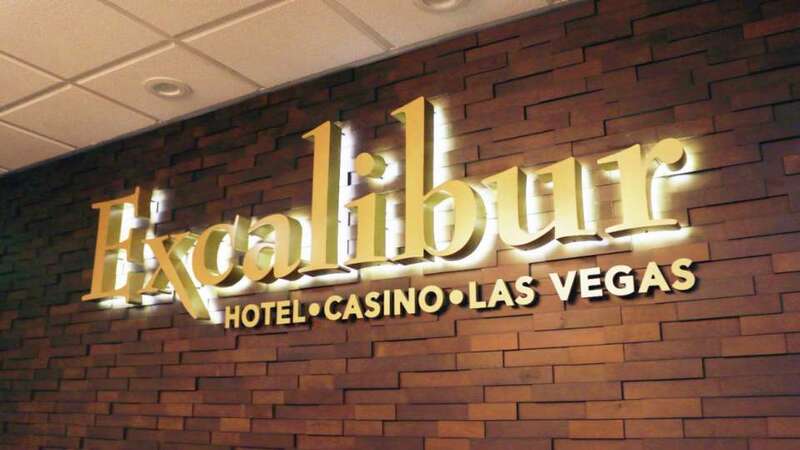 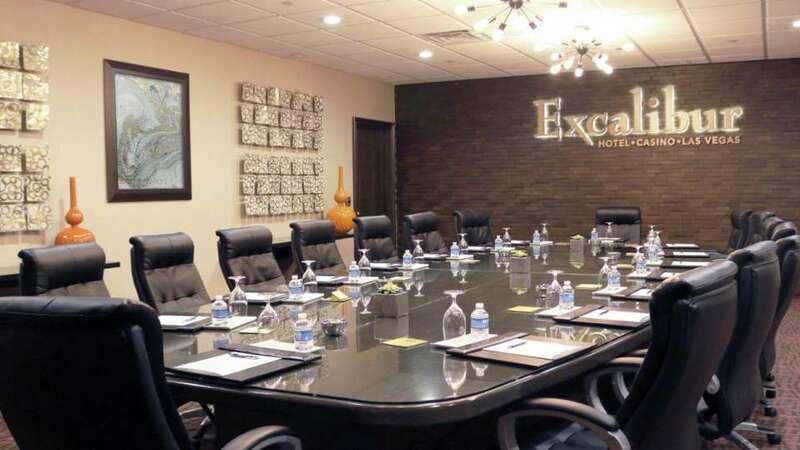 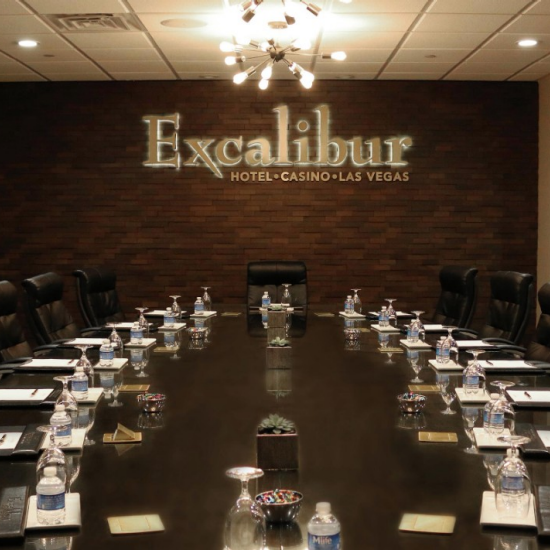 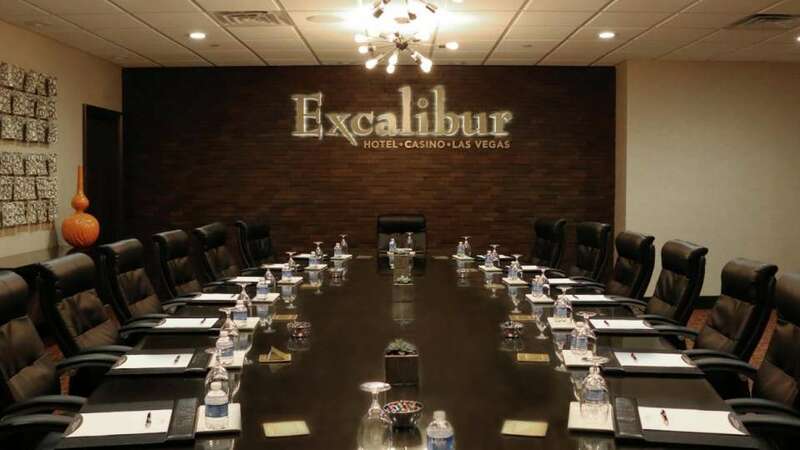 Image of Excalibur logo in boardroom. 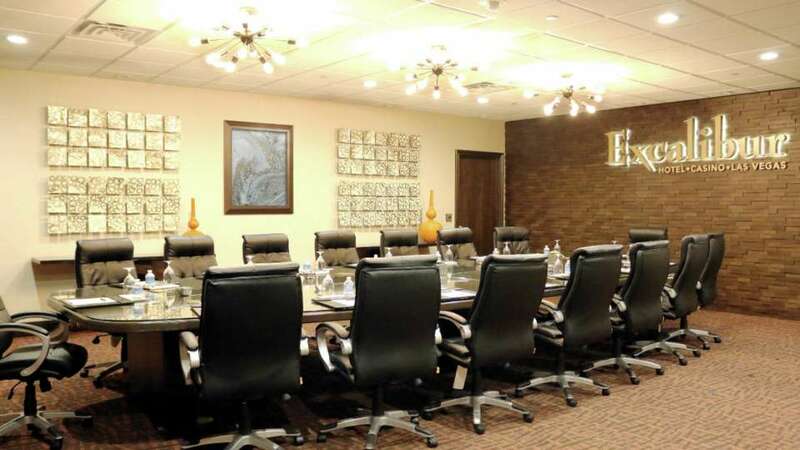 Image of chairs and table in boardroom. 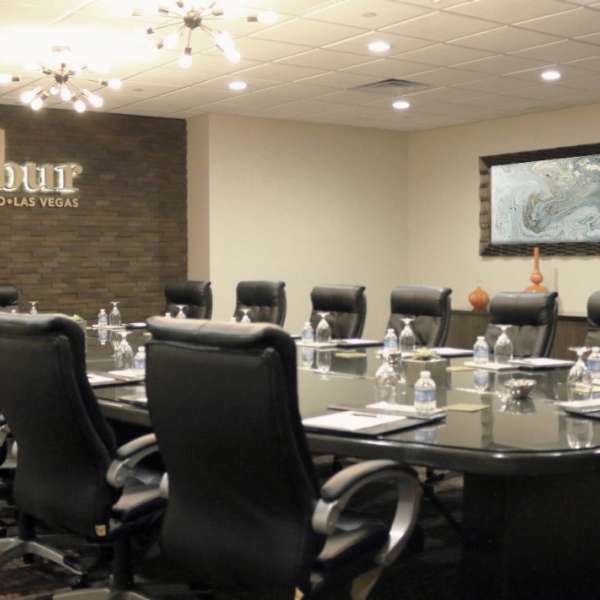 Image of boardroom with chairs, table and logo. 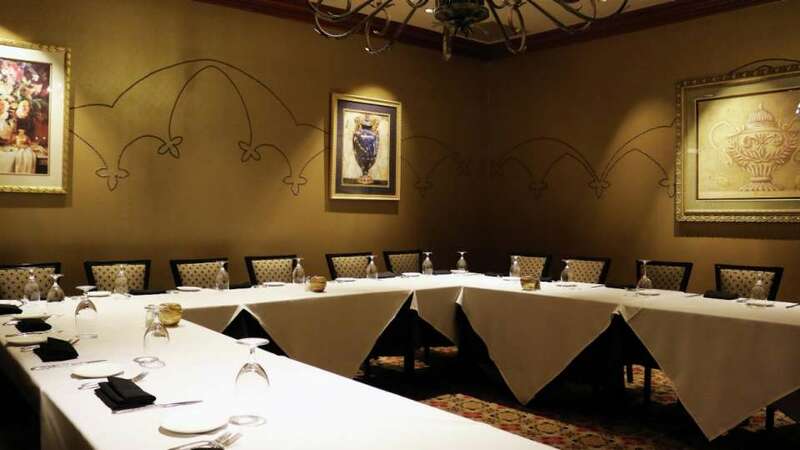 Boardroom image with long shot of table and chairs. 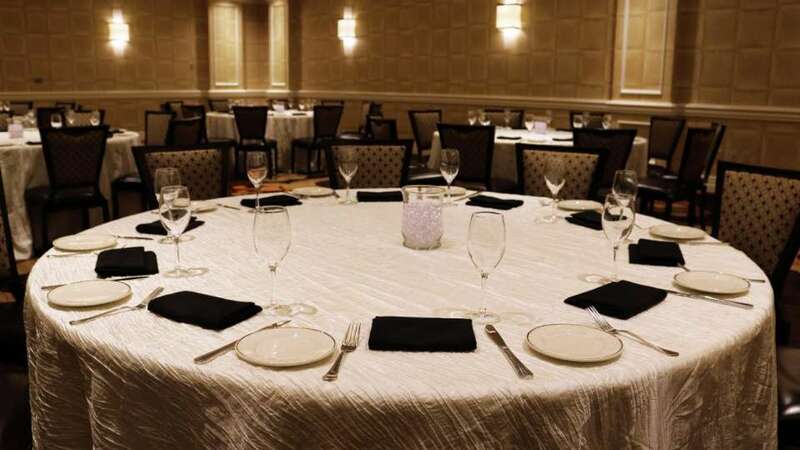 Table set up for a reception style meeting. 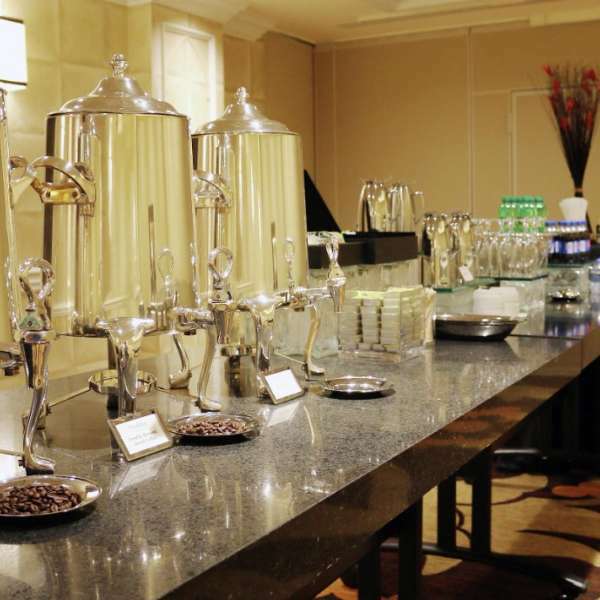 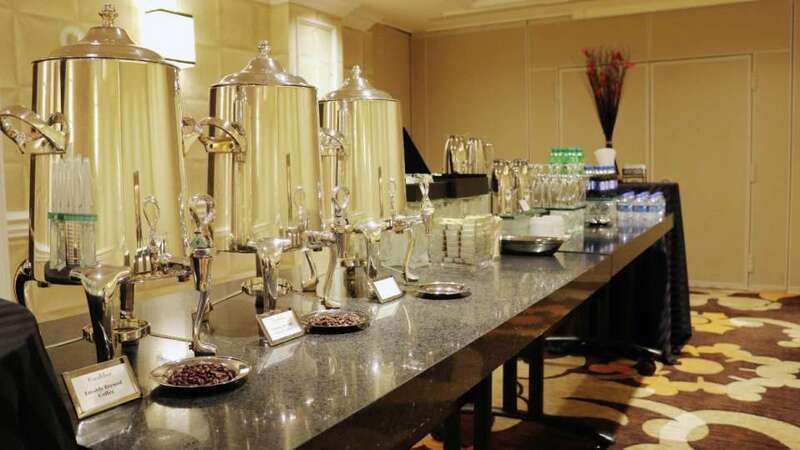 Beverage buffet set up for meetings. 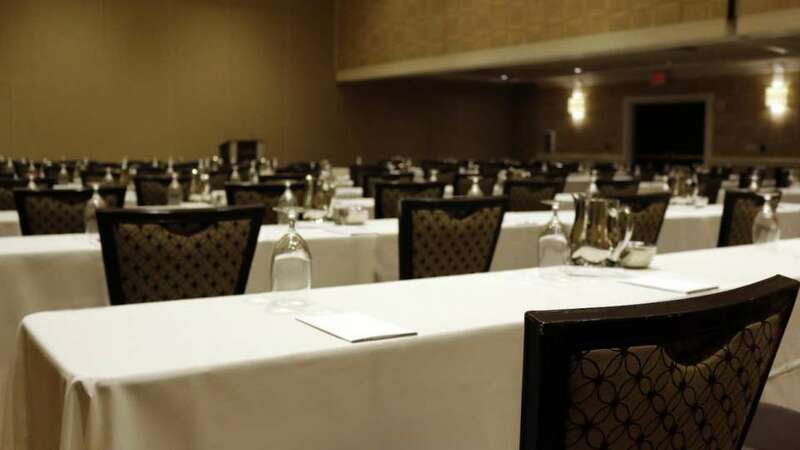 Table set up for classroom style meetings. 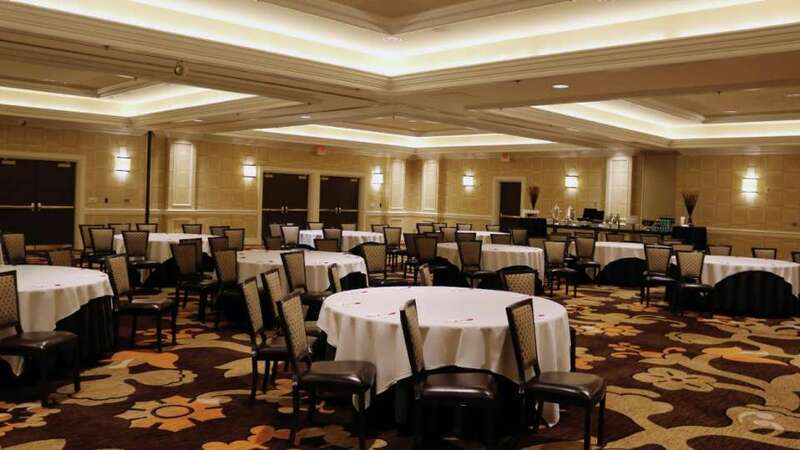 Round table set up for classroom style meetings. 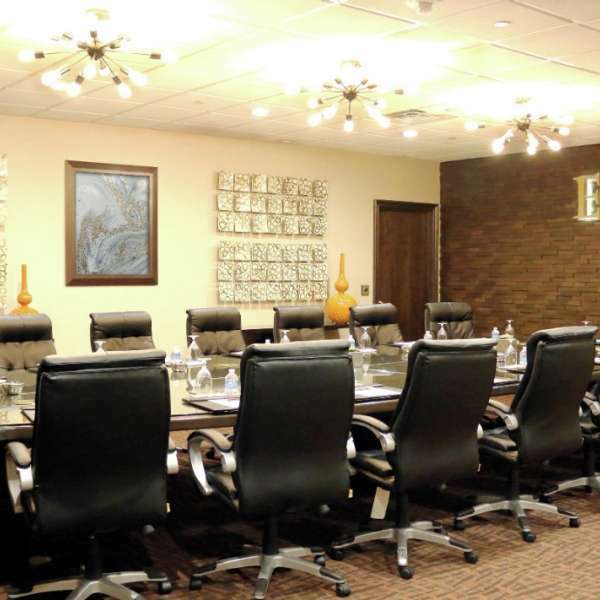 Meeting space with high boy set up. 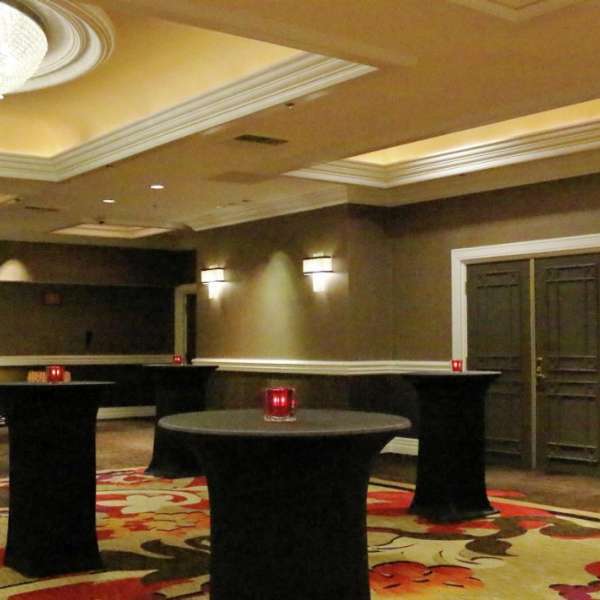 Meeting space with a bar and high boy set up. 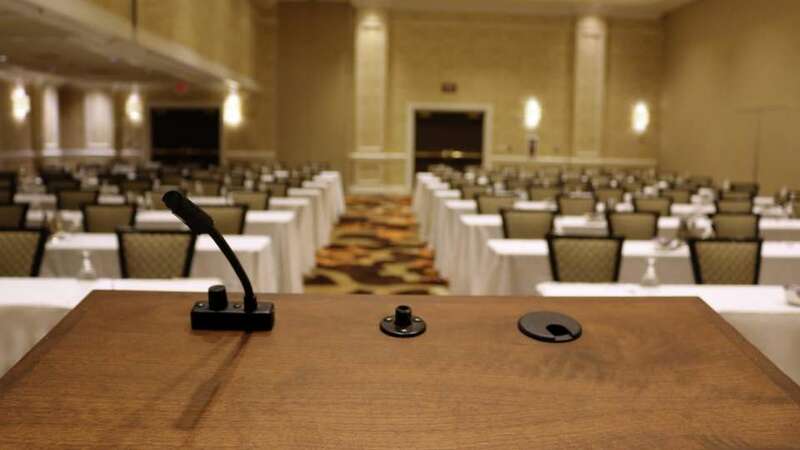 Classroom style set up with the podium view. 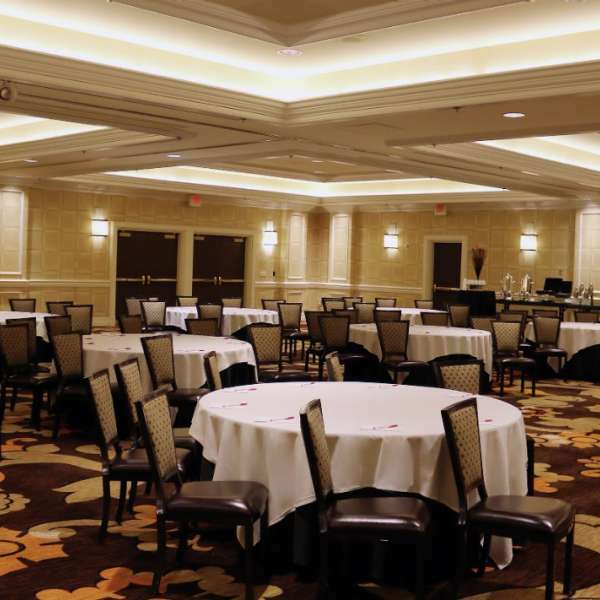 Meeting space with a reception style set up. 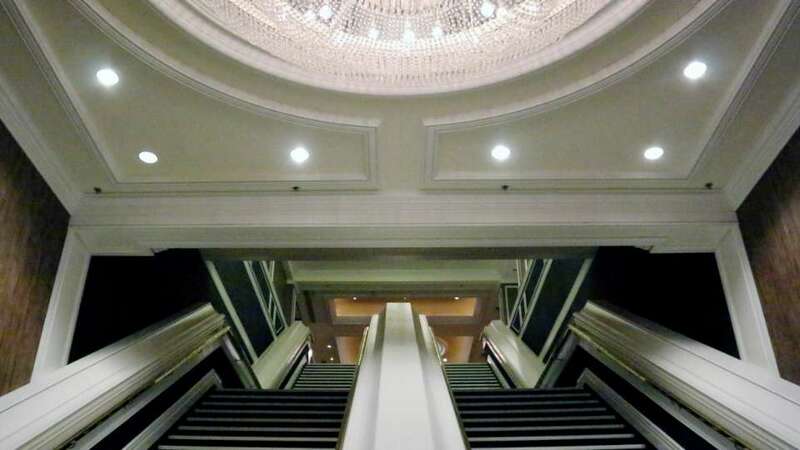 Staircase that leads up to all of the meeting rooms. 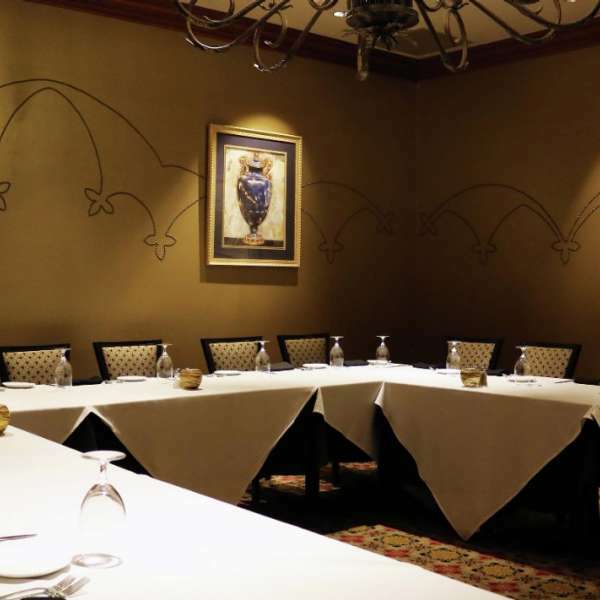 Small private meeting room or dining for meetings inside Camelot. 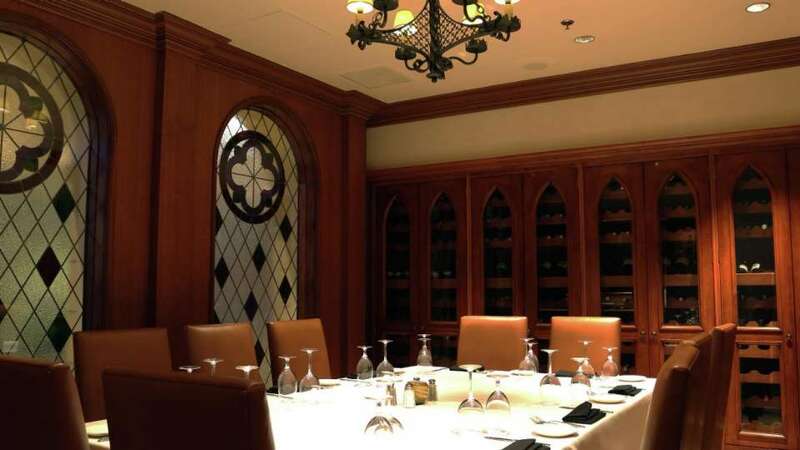 Private meeting room with chandelier for meetings inside Camelot. 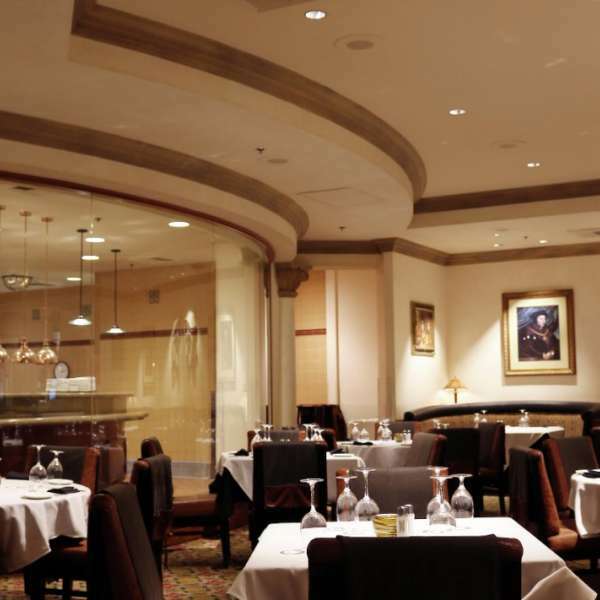 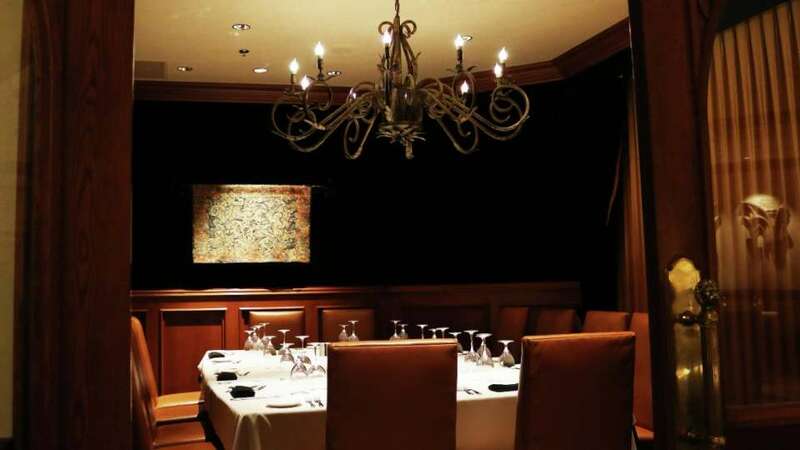 Full view of the inside of Camelot Steakhouse. 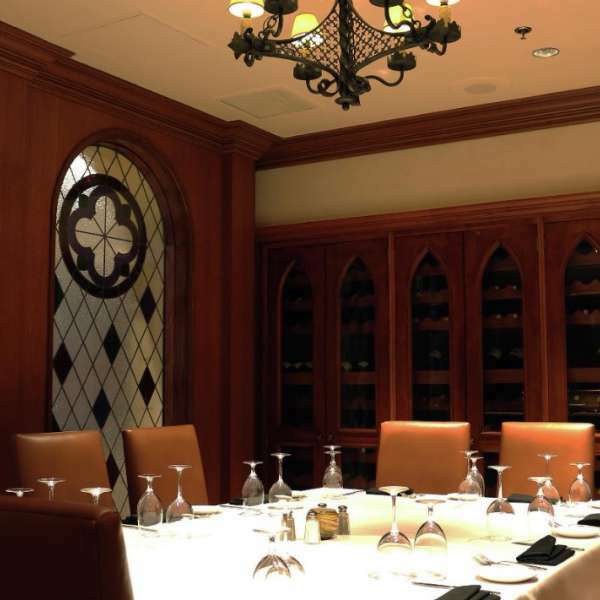 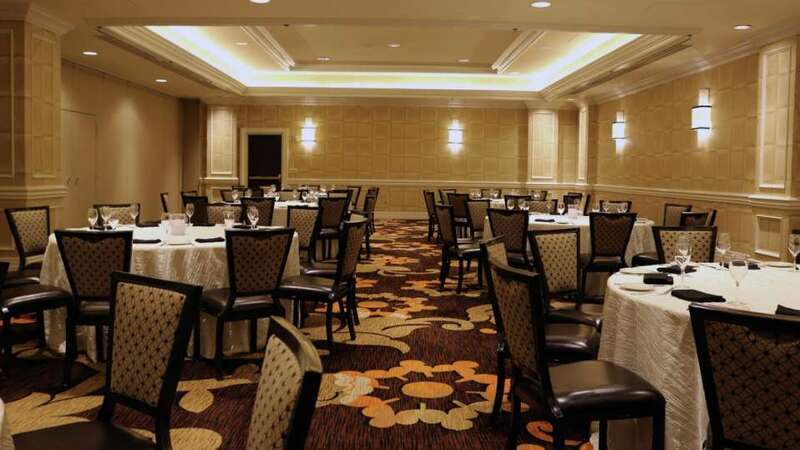 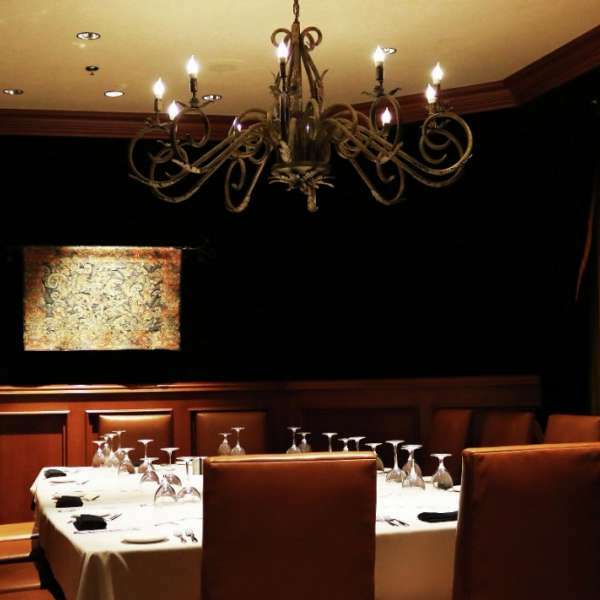 Private meeting room or dining for meetings inside Camelot. 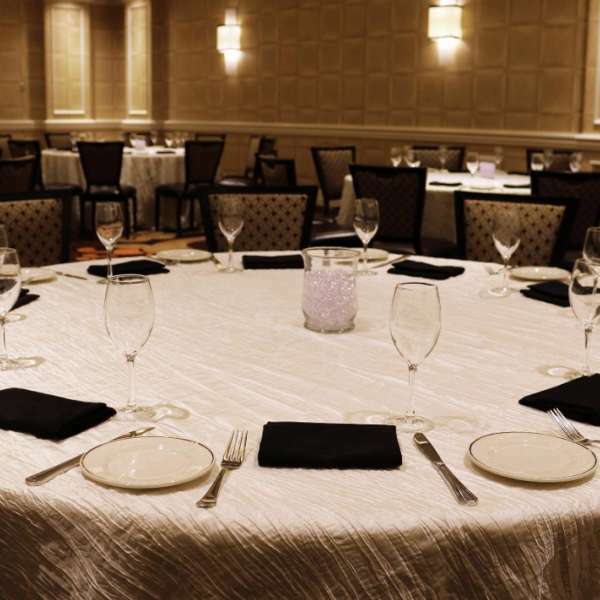 We offer a variety of menus to suit your event as well as an extensive wine list. 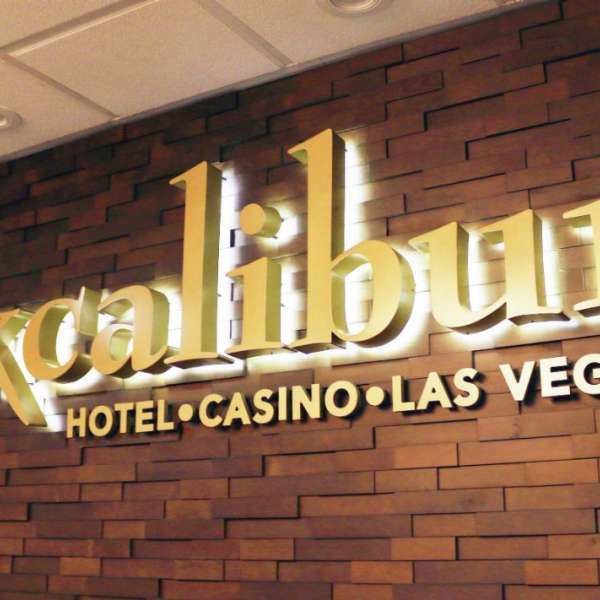 Walk towards the casino table games. 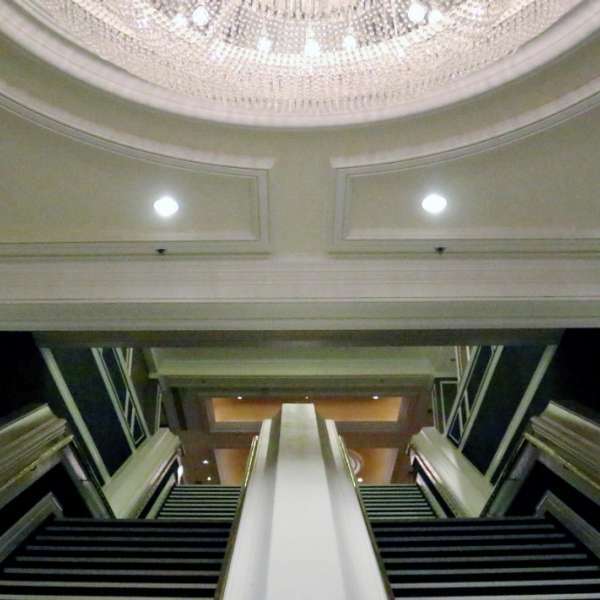 There will be escalators in the center, take those to the second floor. 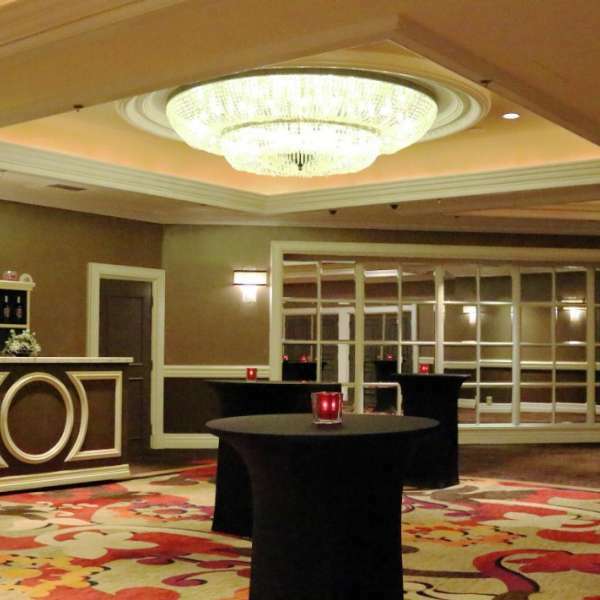 The doors to the meeting rooms will be straight ahead. 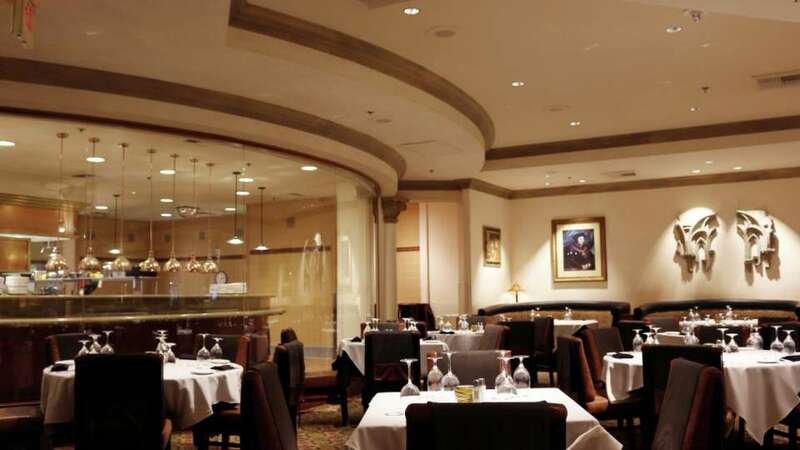 Take the stairs to the third floor. 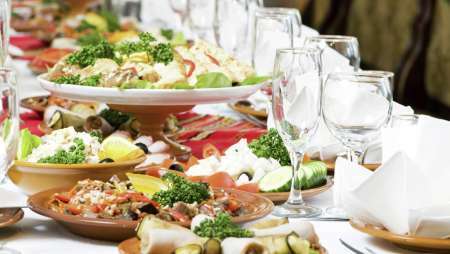 *Capacity figures depend upon space allocated for head table, dance floor, staging, audio visual and catering equipment.